Beautiful You: New Make-Up | MAC, Urban Decay & Benefit! New Make-Up | MAC, Urban Decay & Benefit! Hello Lovelies. Welcome back to Beautiful You with my first post of 2014! So as it was Christmas not too long ago I received a little bit of money from some relatives and I thought that I would treat myself and buy some new make up. Now if you are into the whole beauty blogging community then some of these items will not be a surprise to you but obviously me being a blogger I couldn't resist! 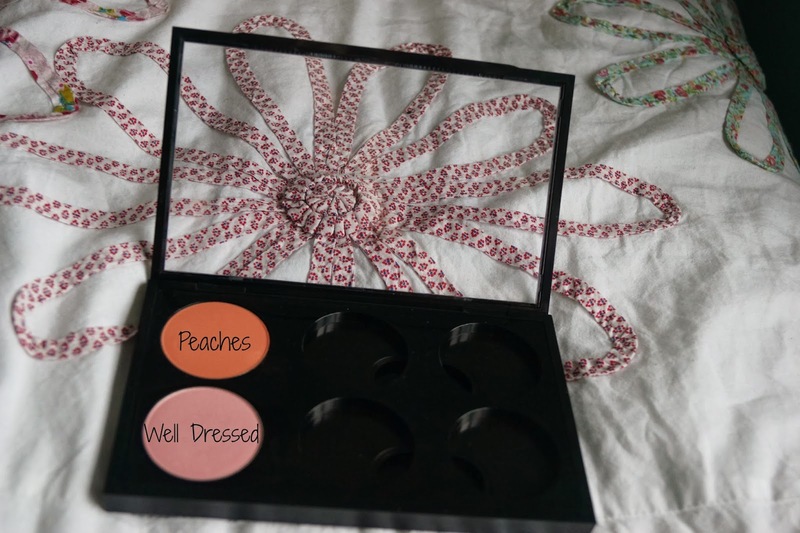 And I also thought that I would share with you some of the other make-up bits and pieces that I got for Christmas as I have mentioned them before but not in detail, so I hope you enjoy! I will start with something I got for Christmas and first off is my MAC pro blusher palette which I got from my sister. She bought me the casing and the insert that you sit all the blushers in and then one blusher to go in it. The one she bought me was Peaches as I have been going on about this for so long; I think she most definitely got the hint! Then with my Christmas money I bought another blusher to go in, this one was in the shade Well Dressed which I bought of a recommendation from Tanya Burr in one of her YouTube videos. As a rule I don't usually fill in my eye brows because in my opinion they are quite dark and full without any product but I bought a MAC eye-shadow in Charcoal Brown because it was a good match. It has encouraged me to fill my eye brows in more and I can see a difference in my whole face as it seems more framed when they are filled in. I will definitely keep this up now I have found the right product and the right brush, which is one from Real Techniques. Yes, I treated myself to the Urban Decay Naked 3 Palette (everyone falls over in surprise). I had seen so many pictures and watched so many videos of beauty gurus saying how amazing it is; I had to buy it. There are 4 matte shades and eight shades that have simmer, they are all so blend-able and really pigmented. It does retail for £37 but it is so worth the money, I wouldn't hesitate to recommend it at all! The brush that comes with it is also amazing, it has a flat end for packing the shadows onto the lid and a curved domed end that is amazing for blending a darker colour through the crease! And of course, you wouldn't have any less from Urban Decay, the packaging is so sleek and compact. In my overall opinion this is a fantastic product and I cannot fault it! This next product has appeared in my 'What I got for Christmas' blog post but I had to put it in here because it's so amazing! It is the Urban Decay Shattered Face Case, which is a two layered palette with products to create nearly a whole face. In the top layer it has 5 eye shadow in the shades; Shakedown, Remix, Nameless, Minor Sin and Bleach. They all bar one have simmer to them so if you don't like shimmery eye products then maybe this isn't for you but again they are very pigmented which aids to easy application! It also comes with a 24/7 glide-on eye pencil in the colour zero which I have yet to try but I have swatched it on my hand and it does glide smootly when applying it. Then on the second layer it has two blushers; Overexposed and Temper and a highlighter; Glint, and a high gloss lip colour in Lovechild. This I have used but it made my lips go really red so I don't know if I will be using it again but I will try, it is super moisturising and does last a long time though! And for my last splurge for a while was on the Porefessional Agent Zero Shine Powder. Yes, this is a very new product into the UK market but I had watch an American YouTuber rave about this in one of her videos and I had to go out and try it! I have only used it three times and so far I am loving it but I will hold back on the review until I have tried it out a few times, but so far Benefit have hit a winner again! I hope you enjoyed seeing what I have splurged on recently, I cannot rave about all of them enough. I love them all! If you want to see a review or a make up look with any of them just let me know and I will try my best! Hope you all had a fantastic Christmas and a great New Year! Also I apologise for the mishmash of pictures, some were taken at home and some were taken at uni, please forgive me!